If you happen to be on the street in Springfield, Missouri and the Batmobile drives by, you're not seeing things. It won't be Batman behind the wheel though, and the car won't be headed to the Batcave. 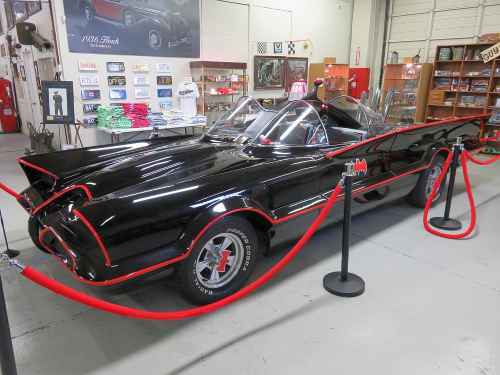 The vehicle, a 1971 Gotham Roadster, is an identical replica of the Batmobile as seen in the "Batman" television show, and it is housed at Springfield's Route 66 Car Museum. 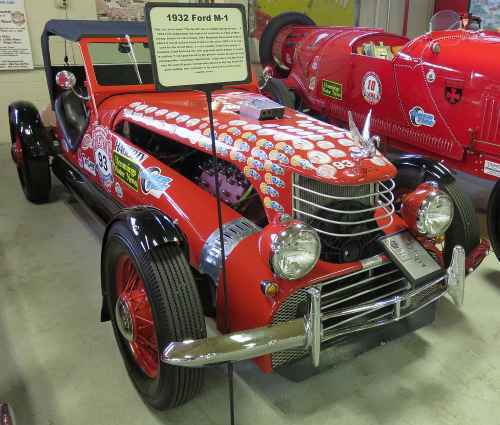 The collection at the Route 66 Car Museum, some 70 vehicles in all, is different from what is found in most car museums in that all of the cars actually run, and thus from time to time the Batmobile can be spotted out and about. A sure way to see the kitschy nod to '60s TV though is to visit the museum where the collection consists of four types of vehicles; classics, brass era, sports, and like the Batmobile, celebrity. 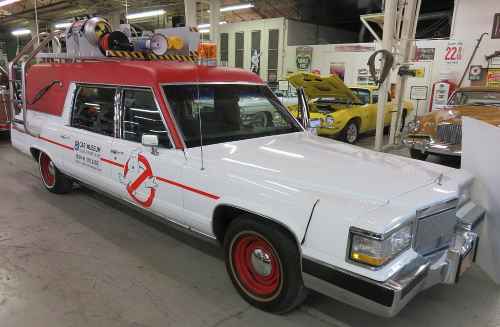 Other cars in the celebrity category include an Ecto-1, one of five tricked-out hearses from the 2016 "Ghostbusters" film, the truck from the film "Grapes of Wrath" and a 1963 Morgan that was owned by General Norman Schwarzkopf. Most of the cars at the Route 66 Car Museum are understandably "hands off," but there are fun photo opportunities beyond posing with the Ecto-1 or Batmobile. Visitors can hop inside a 1907 REO Model G, one of the museum's brass era cars, and get a real feel for what it was like to hit the road in a car that had (and still has, since it still runs) a whopping eight horsepower. It was a big deal to own an REO back in the day; in 1907 the brand was one of the top four automobile manufacturers in the nation. The men and women who worked for the company probably never dreamed that the fruit of their labors would still be functional more than 100-years later. 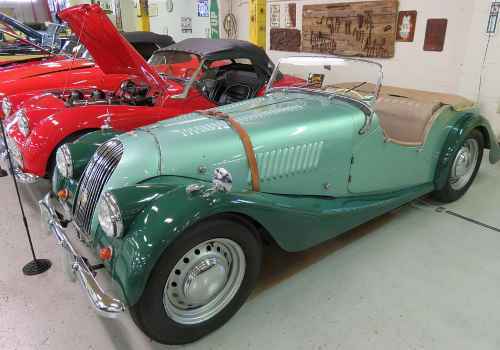 Two Rolls Royces and seven Jaguars are highlights of the collection as are a 1933 Auburn 12 and a 1926 Kissel Brougham, both of which were awarded National First Prize accolades by the Antique Automobile Club of America. 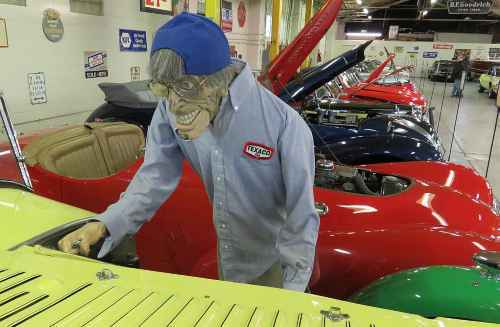 One of the popular exhibits at the Route 66 Car Museum is not a vehicle at all; off in one corner you'll find a mannequin grease monkey, tools spread out before him, pondering his next move under the hood. The mannequin has a crazed look on his face, like way too much coffee has been consumed, but the facial expression perfectly conveys the fervor that many car lovers exude. 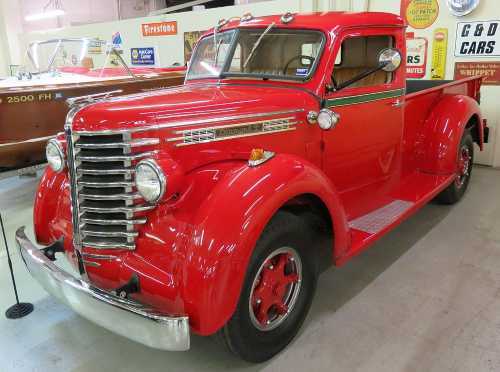 The Route 66 Car Museum takes its name from the fact that the famous "mother road" runs through Springfield, and no doubt many of the vehicles in the museum once cruised Route 66 long before they went on display. And if you visit at the right time you might hear old timers talking about just that. Even if it's just "I thought I saw the Batmobile down at 7-Eleven!"